The City of Tye and The Payment Group have teamed up to provide you a convenient way to pay your water bill or citation online. 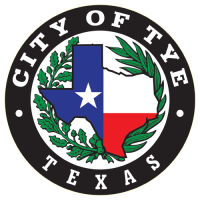 Anyone with a City of Tye utility bill or citation issued through the Tye Municipal Court is eligible. Before proceeding, please read the instructions below concerning late fees, processing and reconnect fees that may be required on your water bill. For citations, certain criteria must be met before you can pay your citation online. If you have any questions or need help, please contact us! If you are paying your bill after the 10th of the month, you MUST add a 10% late fee. If you are paying on the 21st of the month or later, you MUST add the 10% LATE fee and a $50 processing/reconnect fee. *Please note: there is a processing fee for all payments made through this site. If your payment is rejected for any reason, your processing fee will not be refunded. Any over payment on the account will be applied as a credit to the next bill. Click on the Payment Group logo below to proceed. The link will open in a new window. This page is for the City of Tye and not for Taylor County citations. Driving Safety Course fees are not accepted here. Please contact the court. If you are under 17 years of age you are required to appear. Do not pay here. Please contact the court. Deferred Disposition. Contact the court if you are requesting this option. Warrants may be paid here IN FULL only. Contact the court for the exact amount due.